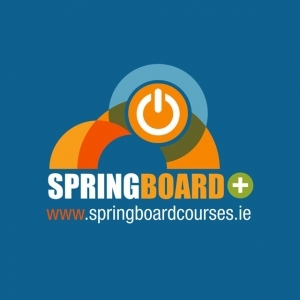 Please refer to the eligibility guidelines on the Springboard Courses web site by clicking here. All Springboard programmes are free of charge. The springboard+ upskilling initiative in higher education offers free courses at certificate, degree and masters level leading to qualifications in areas where there are employment opportunities in the economy. Springboard+ is co-funded by the Irish government and the European Social Fund as part of the ESF programme for employability, inclusion and learning 2014-2020.